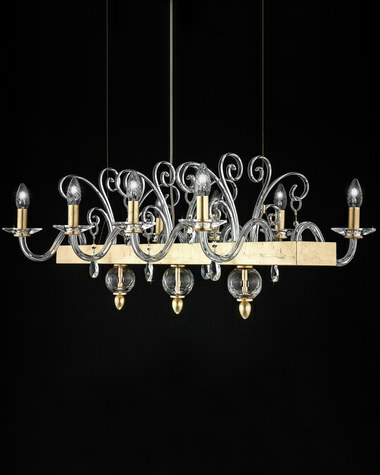 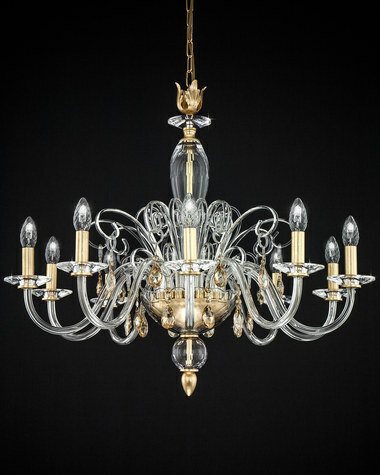 Classic chandelier creation with elegance and simplicity emerging from the reflection of the harmonious shapes of crystal. 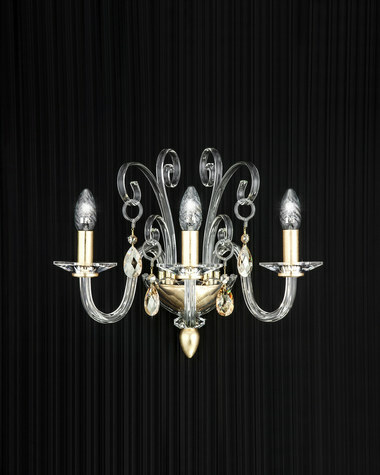 Made with handmade glass scrolls and arms with crystal cups. 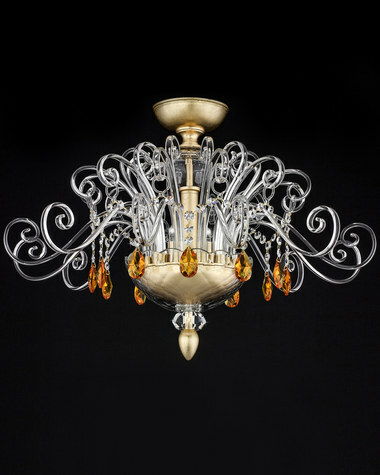 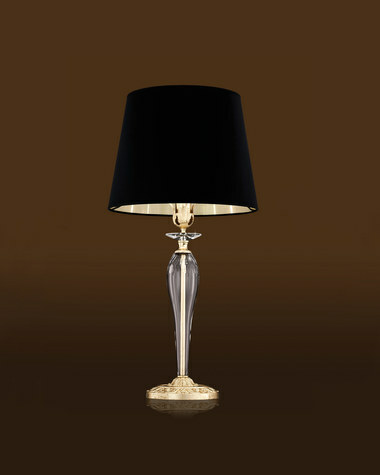 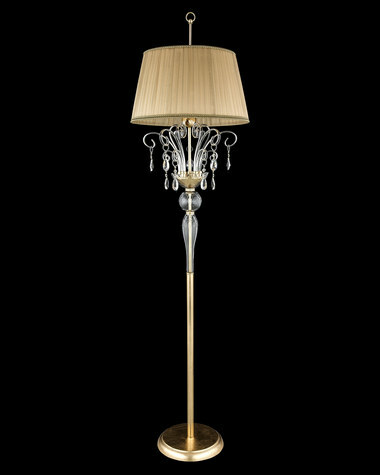 The collection is available with the metal in the following finishes: chrome, gold leaf and silver leaf and crystal details in various colors.